In my last post I noted that I was planning to undertake some self-directed learning. I am pleased to say that I have indeed been doing so. It turns out however that the course on Anti-Semitism is not the one for me. I have withdrawn. In its place I have signed up to a Udemy course on Photography (all going at €14.99 today). It is really aimed at Beginners but I feel indeed of being re-enthused and it feels like the right one for me at this time. This course, together with a new camera which I may have reason to believe will be arriving in time for my birthday, should serve to get me up and clicking again. The Recreational Maths course, by the way, is proving to be highly enjoyable. On the Spinning front, I have placed an order for some fibre with Katie at Hilltop Cloud and am very eagerly awaiting its arrival. 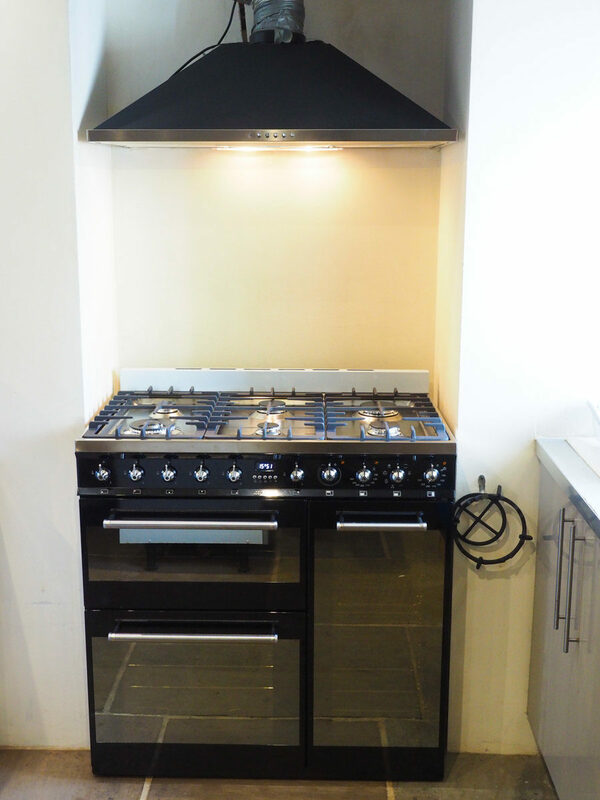 A new six (gas) ring range with three electric ovens. That’s a lot of cooker for two persons, who is coming to dinner? 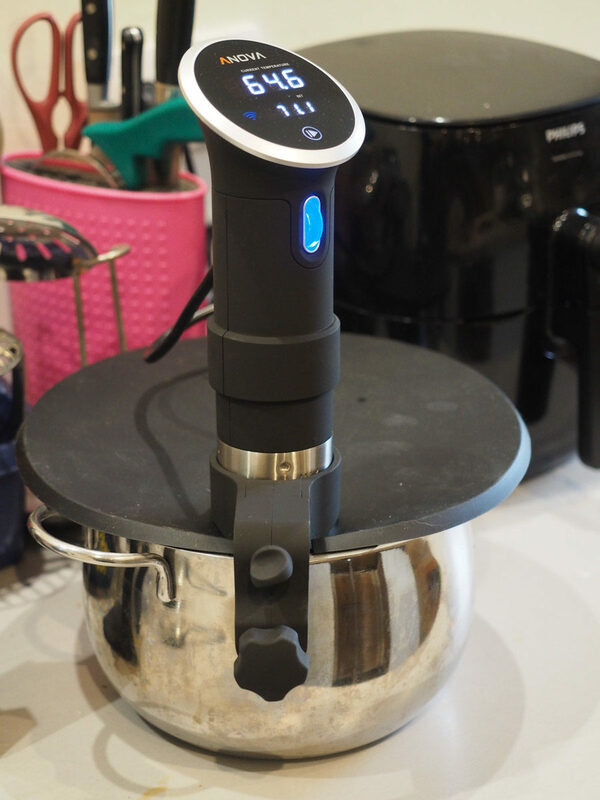 There is a new cooker in my kitchen, along with a Sous-vide wand, a vacuum bagging machine and a heavy gauge steel stock pot. I am already enjoying doing some proper cooking. Enjoying the eating too! 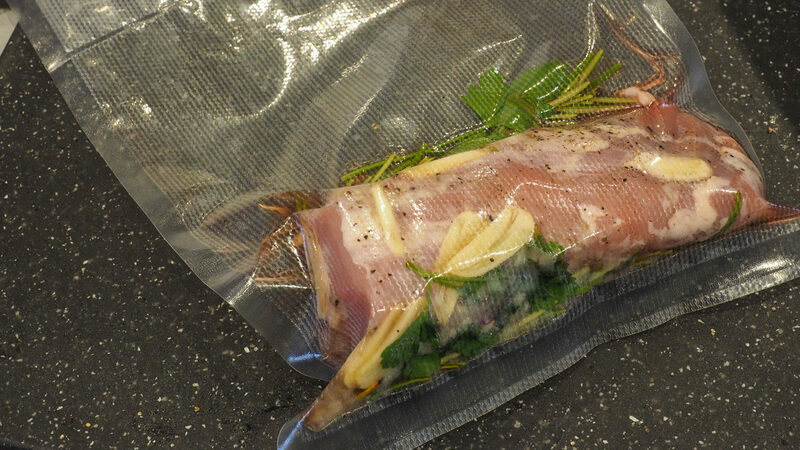 First efforts with the Sous-vide wand were in my pasta pan, which proved imperfect for the task. I attempted hard-boiled eggs and they were horrible. 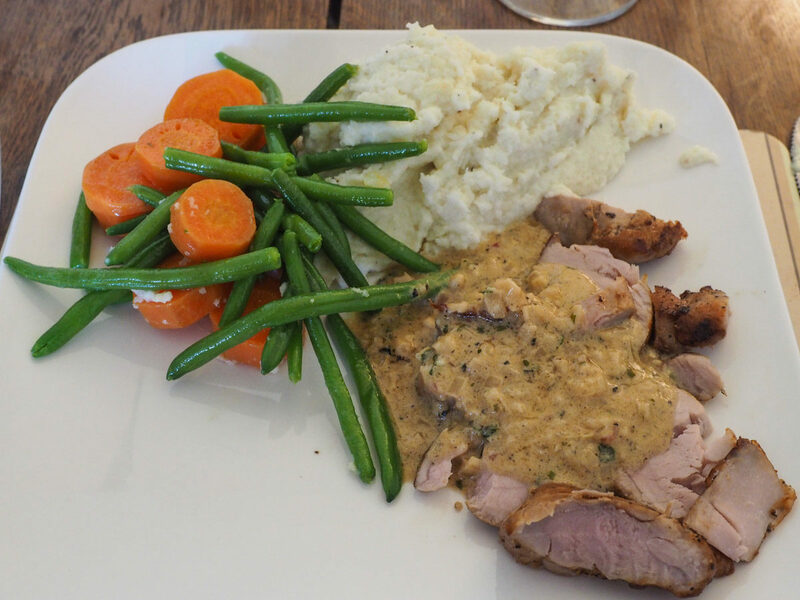 Pork Fillet, white wine and shallot sauce, mashed cauliflower and buttered veg (keto). Not half bad but I think that I could do better. No knitting has been done and no reading. On the reading front, I was mentioning to Mr L that I should like to get Alexa to play some of my audio books of an evening. I was shocked to learn that I will not be able to play my books because we live in France. All that money, just wasted! Already feeling less mugwumpish and more energised. I know from experience that the more that I do, the more that I will want to do and the snowball will roll. There is one gaping hole here – I need to do something to do with writing. Previous Post A quarter gone?